Proverbs 19:11 The discretion of a man deferreth his anger; and [it is] his glory to pass over a transgression. How many times has a friend or a sibling done something that has upset you, teen girl? If you are the average person, it happens a lot. 😦 How do you handle the situation? Today’s Bible verse tells us that when discretion is used, it defers (delays) anger. When you are wronged, stop and think for a moment instead of reacting to the situation. By over reacting, you will make a worse mess of the situation. Wait, instead, to see what God reveals to you. He will reveal His will to you. Today’s verse clearly shows God’s will. It clearly states that God desires that you pass over the transgression against you. Christ’s love will shine through you as you forgive and overlook this matter. Just as Christ died for us while we were yet sinners, so should we be quick to forgive those who sin against us. As you grow in Christ, teen girl, learn to forgive those who upset you and who wrong you. Overlook their transgressions and let Christ richly dwell within you! Where in Scriptures does it say that you should argue with your parents, teen girl? Where does it say that you can yell at them? There are no such Bible verses. But there are verses that instruct you to treat your parents with respect, despite how you feel about them. Ephesians 6:1 and Colossians 3:20 are a couple of verses that do not place conditions on obedience. They do not stress that you are to only obey if your parents are saved or if your parents are good parents. Right? Today’s text encourages us to steer away from conflicts. But when we can’t, the remedy is to have a soft answer. 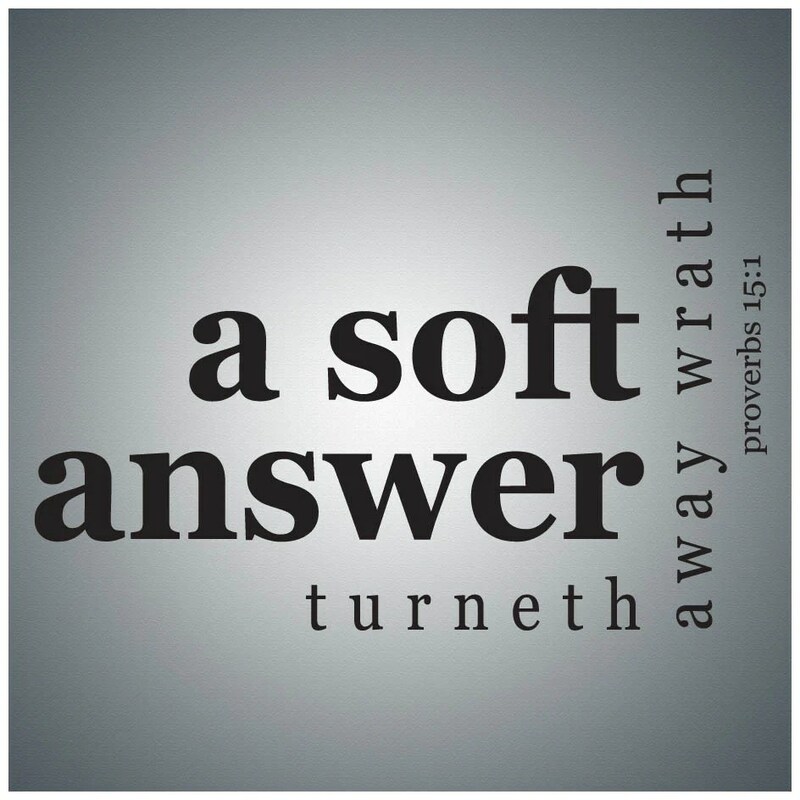 That soft answer can prevent a boat load of problems later on! It’s a wonderful remedy – it prevents harsh words from being spoken – it stops an argument dead in its tracks by removing the hostility and it paves the way for communication. Proverbs 16:27 An ungodly man diggeth up evil: and in his lips [there is] as a burning fire. So next time you encounter a conflict with your parents, put this verse to the test. Don’t argue back – gently speak and save your sassing – you will be amazed at the outcome, teen girl! Proverbs 16:32 [He that is] slow to anger [is] better than the mighty; and he that ruleth his spirit than he that taketh a city. ~Genesis 3:1 Now the serpent was more subtil than any beast of the field which the LORD GOD had made. 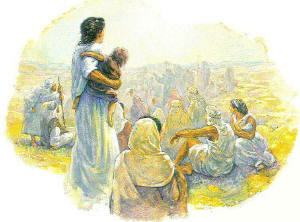 And he said unto the woman, Yea, hath God said, Ye shall not eat of every tree of the garden? Since the beginning of time, the devil has been trying to make the word of God unbelievable. His subtle questions in the Garden of Eden were worded in such a way to cause Eve to question what God had said. He is still doing it today, teen girl! Today’s teenager must take a stand. You have the Bible at our fingertips and you have no excuse for not knowing what God has written. It is only by knowing the Scriptures that you will be able to recognize the devil’s subtleties. Knowing is half the battle, as they say. ~2 Timothy 3:16-17 All scripture is given by inspiration of God, and is profitable for doctrine, for reproof, for correction, for instruction in righteousness: That the man of God may be perfect, throughly furnished unto all good works.